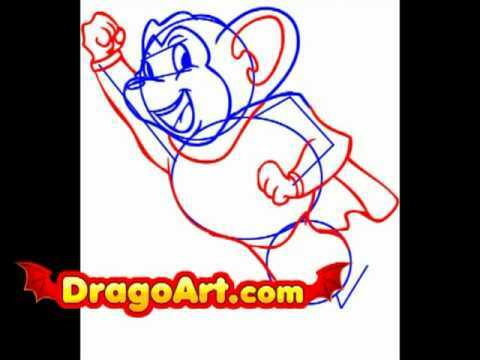 (Step 13) Draw a square on the collar and an oval-like shape for the mouse�s body. 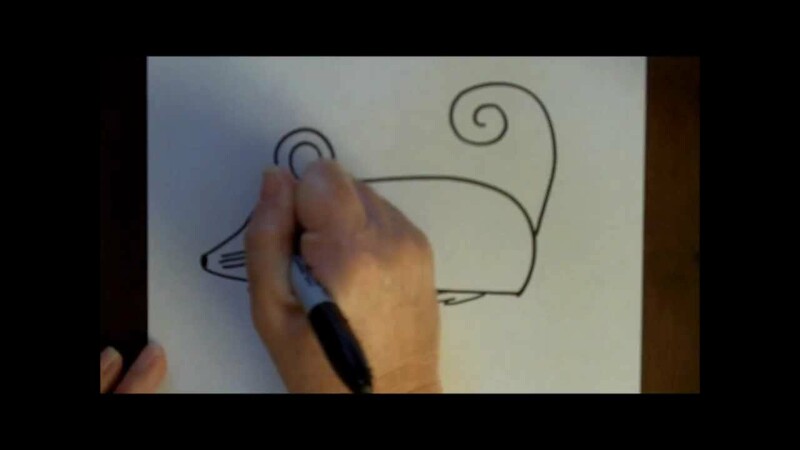 (Step 14) Draw an oval nose on the mouse and letter �U� shaped ears. (Step 15) Draw another letter �U� shape inside each ear and draw curved lines for eyes.